So last week I wrote about Avatar: The Last Airbender, which is a cartoon. Considering my age at the time it was still appropriate for me to watch cartoons, but now? I'm eighteen, graduated high school, have my own bank account, and yet I still watch cartoons. More specifically, Star vs. The Forces of Evil. Why? Why do I watch this show when I am a legal adult? A better question to ask would be, how? I started watching because of my younger siblings, who begged me to sit through a marathon with them. Everything fell apart after that. 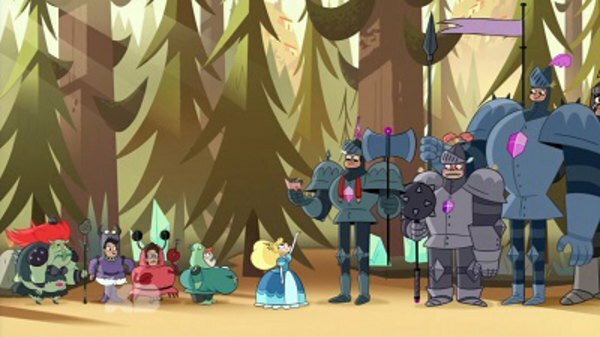 For those who don't know, Star vs. The Forces of Evil is a show on Disney XD about a princess from the planet Mewni who is sent to Earth after inheriting a royal wand but almost destroys her castle with the power. Earth is a much safer place for her, apparently. She lives as an 'exchange student' with the family of Marco Diaz, who ultimately becomes her best friend. Monsters, however, are constantly trying to steal the wand from her because of its immense power, so she and Marco must fight them off. Sounds like a kid show, looks like a show, is a kid show, but I still watch it, and here's why. I have a strange sense of humor, the kind where weird things randomly happening or unexpected dialogue makes me burst out laughing. The kind where you just go, what? And it's so weird, it's funny. If you are familiar with the show Adventure Time, it's that kind of humor. Star vs. 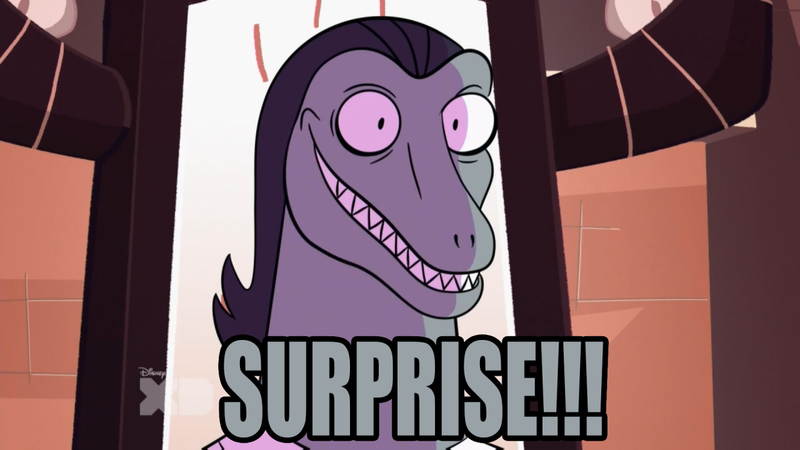 The Forces of Evil is full of that, from small unicorns interrupting an intense moment to give a monologue in Italian to lizards yelling surprise at a plot twist. Yes, it's as weird as it sounds, but to me, I don't know...it's funny. Stupid funny but funny, and well, it's my kind of humor. It's only season one, so nothing grand has happened yet. Except for the fact that their souls were bound for eternity at The Blood Moon Ball when the blood moon chose to shine its light on them. 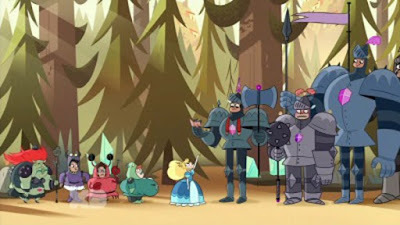 So Starco is totally canon. But yeah, you know, nothing major. And their friendship is just so...great. They save each other, they stand on equal footing, and bleh...I just want to throw up rainbows watching them. Plus, Marco makes Star nachos, so brownie points for him. Oh...and the HUG!!! Never forget the hug!! All right, fangirling done now. This show, in it's infancy, starts off innocent with fart jokes and writing that yes, is a bit childish. Because as I've said, this is a kid's show, but there is writing and moments that show potential for much more. Avatar was always more mature than the rest of the kid's shows out there, and Star has begun to show that. ...the show won't lose it's innocence, but I see it growing it to something I can relate to. 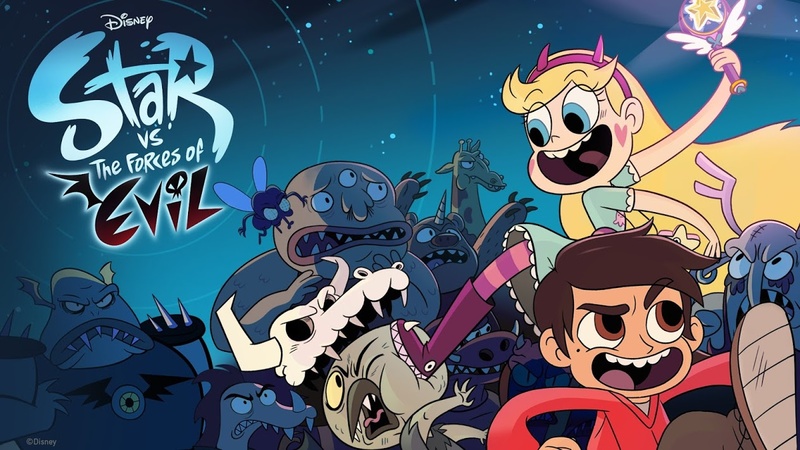 Do you like Star vs. The Forces of Evil? 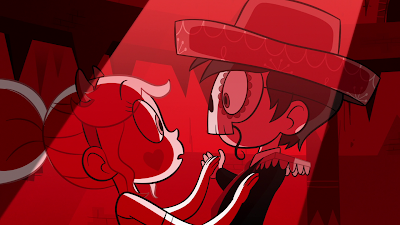 Feel free to discuss and fangirl with me because STARCO.